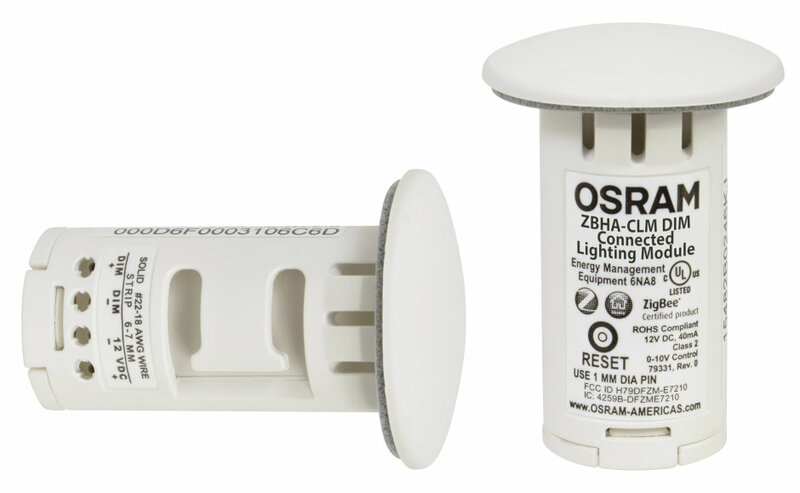 The OSRAM CLM is one of the first LED fixture dedicated device to enable “out-of-the-box” wireless lighting controllable fixtures. The module can be inserted into any fixture with a driver capable of providing 12V auxiliary output to instantly make them smart and able to be controlled wirelessly. It also allows fixtures to connect to multiple wireless systems and building control systems certified to the ZigBee® Home Automation standard, without the need to worry about compatibility and procurement with wireless light management systems. The OSRAM CLM is Daintree Networks® ControlScope® certified, will operate on ZigBee Home Automation networks, and integrates with the ENCELIUM® Energy Management System. An anonymous panel of professionals and specifiers representing a cross section of their respective design industries conducted all judging and voting for the ADEX competition, awarding points that determined Platinum, Gold or Silver award status. Points were awarded in a variety of sub-categories and a minimum number of points were necessary to qualify at each level. In addition to the ADEX awards, the ENCELIUM Wireless Energy Management System, Wireless Photo Sensor, Wireless Area Lighting Controller, and Wireless Wallstation were awarded Best of 2015 Products by Design Journal. “Our focus is on delivering solutions that address the needs of the design community. I am proud that the hard work of the teams involved with bringing these products to the market is being recognized,” said Shottes.